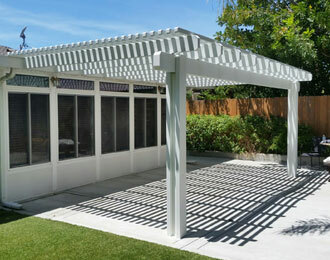 Aluminum City is San Diego County's best value for custom-made California rooms and patio enclosures, which transform outdoor patio areas into spacious indoor living areas. 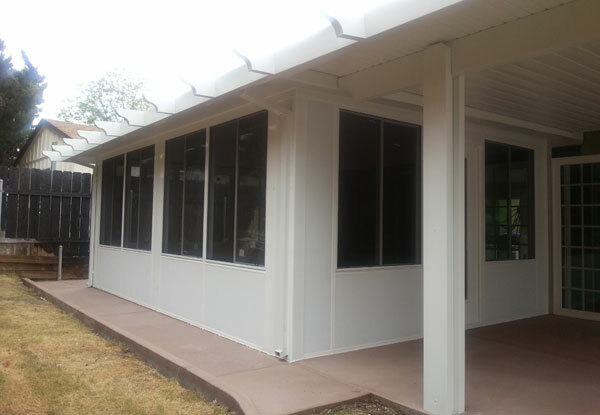 These beautiful, insulated patio rooms are a great solution for those who wish to quickly and affordably add square footage to their home or business. With over 50 years of professional service, thousands of satisfied clients, and a A+ rating from the Better Business Bureau, Aluminum City can be trusted to deliver exceptional results at a great price. 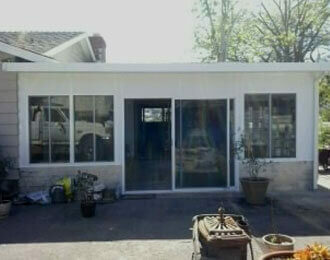 Our California room enclosures typically feature insulated roofing systems; 4-in insulated vinyl walls; regular or sliding glass doors; and dual-glazed low-e windows to protect your belongings from fading and sun damage. These parts and materials come directly from Four Seasons Building Products, the industry's best manufacturer of aluminum metal patio covers. 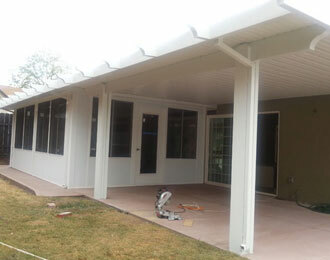 They produce patio covers that are thicker than any others on the market and are the only ones to apply primer before they bake on enamel paint, resulting in a longer-lasting and better-made product. 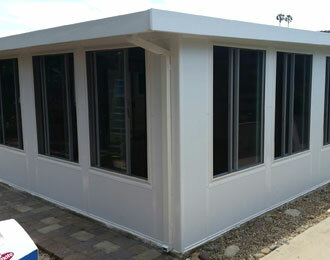 Our patio rooms can be made in one of six colors, and built with electrical raceways so that fan ceilings and lights can be added. 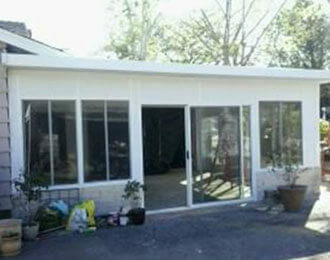 Additionally, Aluminum City implements a sustainable green building design in all California room plans. 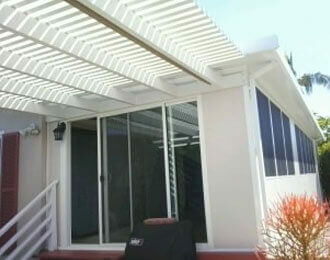 Trust the experienced specialists at Aluminum City to help you design and install a California room enclosure to complement your San Diego property. Whether you plan to use your patio room as a home gym, dining area, office, or second living room, its stylish design is sure to enhance your property's aesthetic appeal and give it a beautiful, spacious look that will last for years to come. 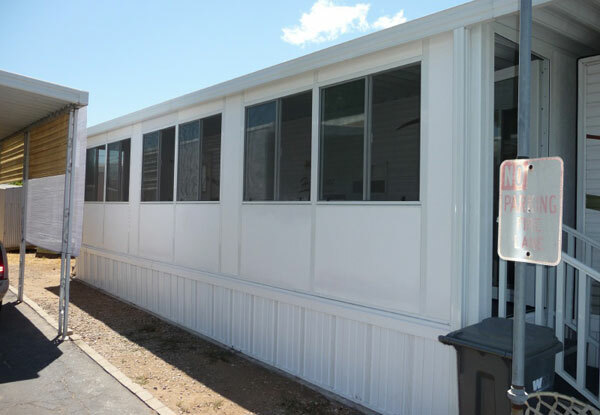 Our room enclosures are all extremely sturdy, easy to maintain, and backed by Four Seasons Building Products' limited lifetime warranty. Call licensed and insured Aluminum City today at (619) 562-1652 to learn more. We offer free on-site consultations in San Diego, Escondido, Chula Vista, Poway, Rancho Bernardo, El Cajon, San Marcos & Oceanside and nearby areas, and are open seven days a week from 7:00AM to 10:00PM.